Life in the Arctic might not be so bad with you around! This Inuit-inspired look starts off its oh-so-cute-and-warm looks with a pullover dress that looks like a coat. The skirt is lined with long luxurious faux fur that gives a truly rustic feel. The sleeve and leg warmers have the same matching faux fur. 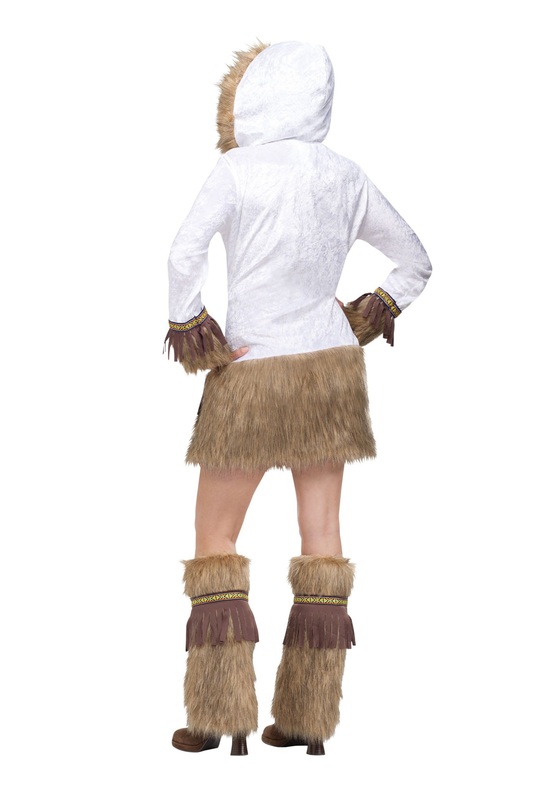 The hood is also lined with a light faux fur. Get ready to hit the ice with this cute dress for women.